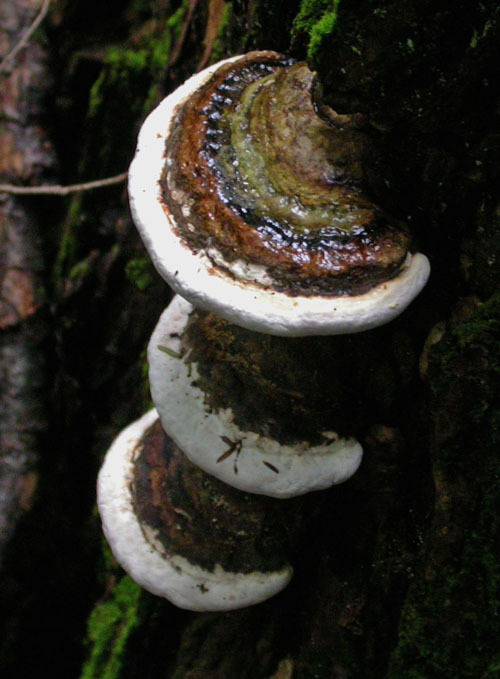 Other: The flesh of this fungus stains yellow when bruised. This fungus can also be found on more the one hundred different kinds of trees and is very common. 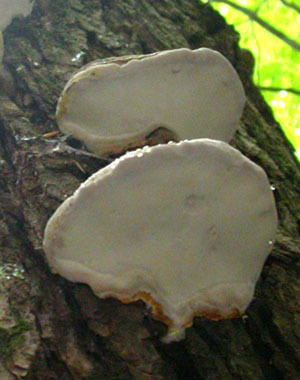 Fomitopsis pinicola is also called Fomes pinicola by some mycologists.